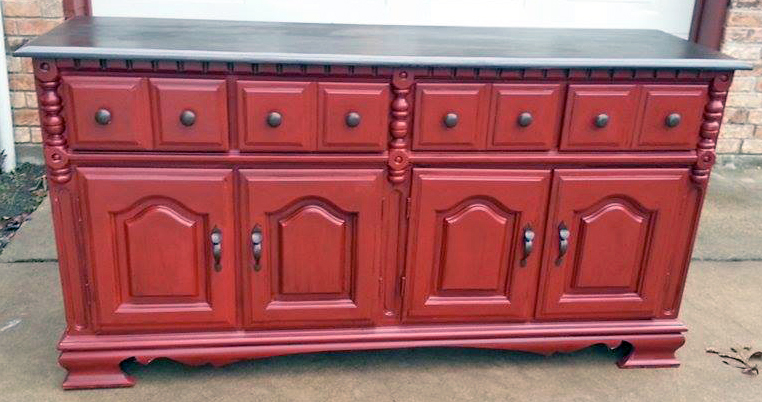 Red painted furniture is a great way to make a statement! Twisted Treasures of Brashear, TX painted this dresser with GF Brick Red Milk Paint and accented with Van Dyke Brown Glaze Effects. Sandra of Twisted Treasures calls Brick Red "my go to red paint".